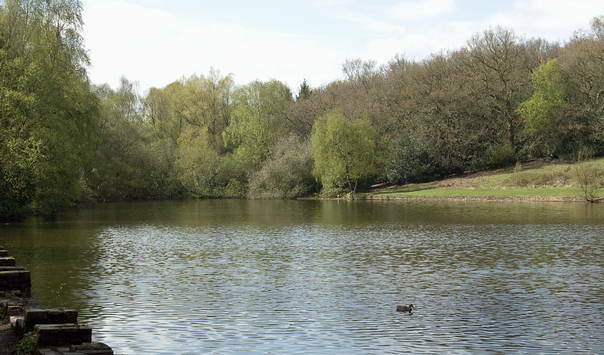 Sutton Park contains a total of seven pools or lakes, all man-made. 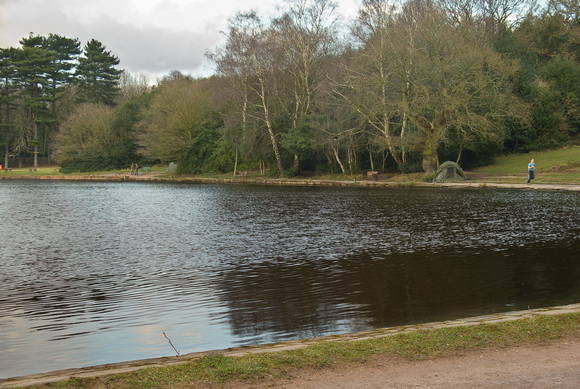 See the Activities page for information about fishing in the pools of Sutton Park. More information about the pools can be found at the Visitor Centre. Blackroot Pool was built in the 18th century with the primary aim of powering a watermill. The lease which allowed the pool to be constructed was granted by the Sutton Corporation in 1757 for 2 shillings (£0.10), well below what appears to have been the 'market rate'. However, the lessees were the Corporation's Warden and his nephew. The mill was initially used for leather dressing, but later became a water-powered saw mill. The modern saw mill is used to make gates, fences and other timber products from timber produced within Sutton Park. The pool is approximately 12 acres (5 hectares) in size. Angling is permitted in the pool; the main species of fish found here are Bream, Roach, Carp and Pike. Bracebridge Pool is one of the largest in the park. The views as you approach this pool are also amongst the finest in Sutton Park. The pool takes its name from Sir Ralph Bracebridge. Bracebridge obtained a life lease on the Chase of Sutton Coldfield in 1419 and had the pool constructed to provide a good supply of bream for his family and friends. 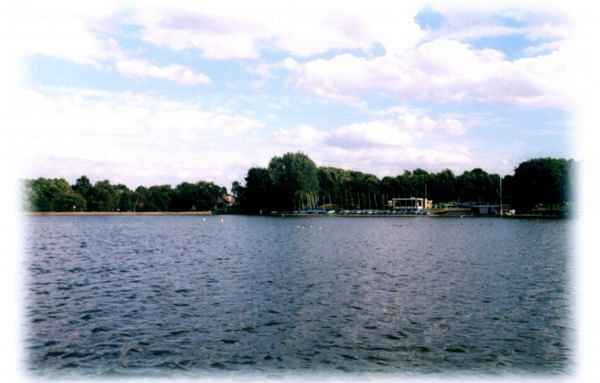 The Boat House Restaurant can be found at the edge of Bracebridge Pool. The pool is approximately 16 acres (6.5 hectares) in size. Angling is permitted in the pool; the main species of fish found here are Roach, Tench and Pike. 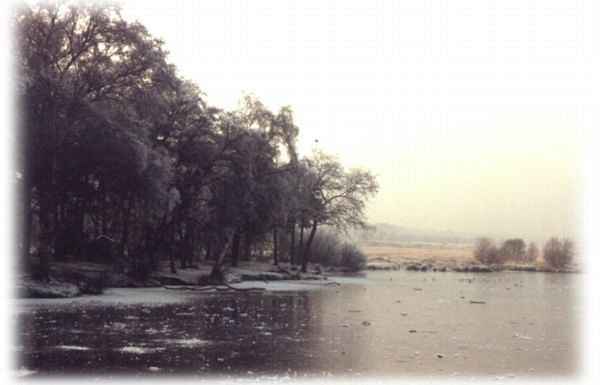 Little Bracebridge Pool was probably originally part of Bracebridge Pool, although it may have been partially separated by a dam to provide an area in which small fish could be reared or in which fish could fattened for the lord of the manor's table. Over time, an area of wetland has developed between the two pools. One of the most peaceful places in the park, Little Bracebridge boasts an extensive range of flowering plants which specialize in wet habitats, including some which are now quite rare, such as the Greater Spearwort. Angling is not permitted in the pool. 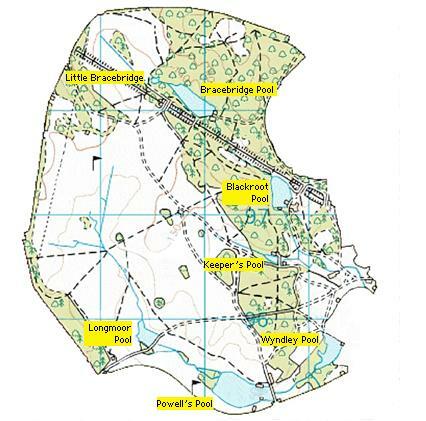 Powell's Pool is approximately 28 acres (11 hectares) in size, and is the largest pool in Sutton Park. Originally built to power an 18th century watermill, it is located at the Boldmere Entrance to the park. At different times, the mill was used to provide power for a variety of industrial processes, including rolling steel for pens. Miller & Carter is close by and offers excellent views across the pool. Angling is permitted in the pool; the main species of fish found here are Roach, Tench and Pike. Watersports and boating are available through various clubs and organizations. For further information, contact the Visitor Centre. Keeper's Pool was originally built as a fish pond within the mediaeval deer park. The name of the pool suggests that a park keeper's lodge was nearby when the pool was built. The pool dates back to the 15th century and was formed by the damming of a stream. Keeper's Pool is approximately 2 acres (0.8 hectares) in size and contains Perch and Roach; angling is permitted in the pool. There was formerly an outdoor swimming lido, built in 1887. [M]any of the vallies which are by far the most valuable part of the waste land have been granted away by the body corporate to several of their own Aldermen and members for the making of pools and other purposes. Angling is not permitted in the pool. Originally built as a mediaeval fish pond, Wyndley Pool is situated adjacent to the Wyndley Leisure Centre complex. It can be accessed from Clifton Road and is very close to the Wyndley Gate entrance (which is closed to vehicular access). Angling is not permitted in the pool.